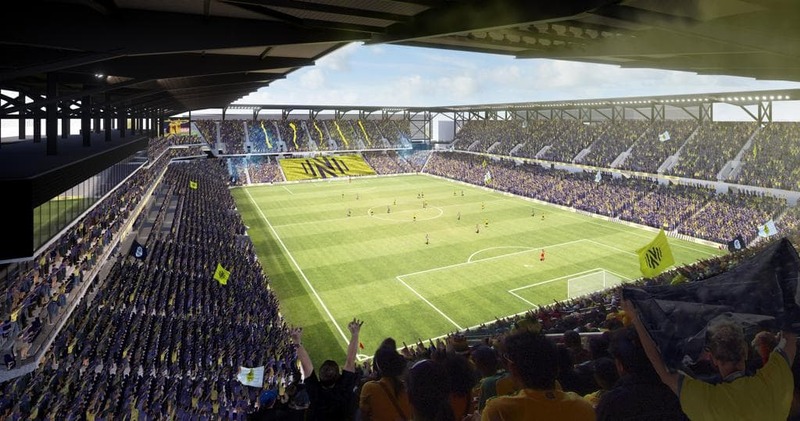 Nashville SC has announced it will develop the largest soccer-specific stadium in Major League Soccer (MLS), but said it will delay its plans to move into the venue as a result. Nashville SC is due to debut as an MLS expansion team in 2020 and had originally intended to move into its new Fairgrounds venue midway through the 2021 season. In January, chief executive Ian Ayre confirmed that the team would join MLS in 2020 and begin playing at Nissan Stadium, home of NFL American football team the Tennessee Titans. Nashville’s MLS expansion franchise secured its intended site for a new stadium in September with a clear vote in favour of the project. Ayre, a former CEO of English Premier League club Liverpool, provided an update on the project yesterday (Thursday), stating that changes have been made to the original timeline. In a letter to fans, Ayre wrote: “We continue to make progress on our new MLS stadium. I have found in my experience of building stadiums and facilities, it is important to design the stadium from the inside out, so that it is first and foremost fit for purpose, and it is equally important to get it done right rather than get it done quickly. “Our team has taken the original outline ideas and concepts and worked with architects and our construction partner to develop the best possible soccer specific stadium for our fans. We are now approaching a highly functional design that all of Nashville can be proud of. Metro Council gave the green light to the original plan for a 27,500-seat stadium in November 2017 at a cost of $250m (£189.6m/€221.7m). However, a club spokesman told the Nashville Post newspaper that the planned capacity has now been increased to 30,000, resulting in the extension to the construction timeline. Ayre added: “We are excited about the new facility, and this new timeline does not change anything about our plan to join MLS for the 2020 season. We will play our home games at Nissan Stadium until our new home is ready. “We believe opening the 2022 season in our new stadium will be a better outcome for both our team and our fans. Moving into a new facility in the middle of the 2021 season and losing home field advantage could negatively affect our team on the field, and equally we believe this decision avoids disruption to our ticket holders midseason.